Based on reviews from 1 experts and 55,371 users. 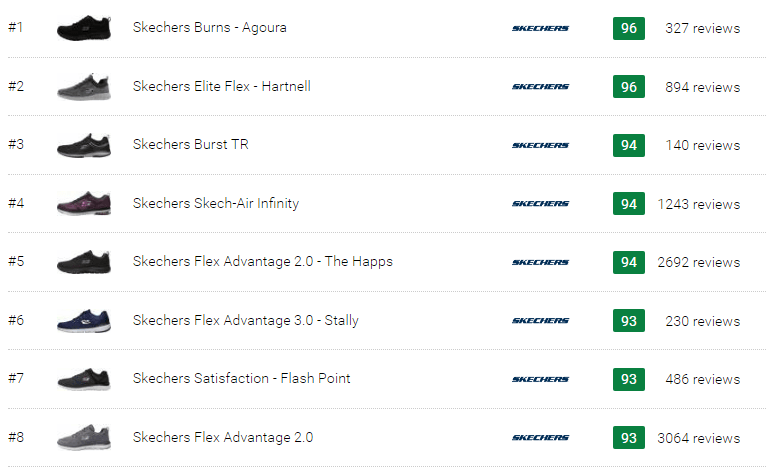 Learn how our rankings work or see our guide to Skechers training shoes. Updated Apr 2019. 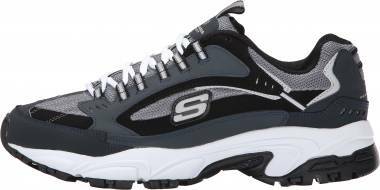 The Skechers brand is known for marrying style and functionality. Since it entered the market in 1992, it has been promoting itself as a manufacturer of lifestyle footwear that could be used for various types of activities. Skechers training shoes are designed to be versatile. 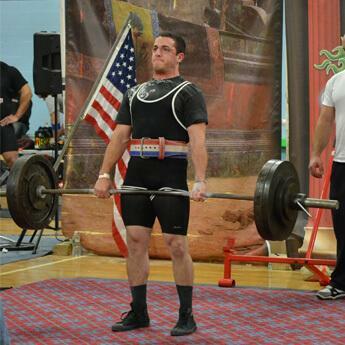 They are created using lightweight but durable materials that can endure rigorous training sessions. 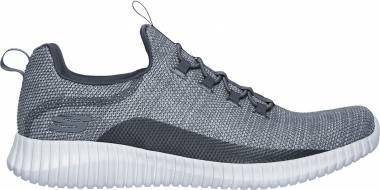 Their upper is usually built of soft jersey, knit, or mesh fabrics which are pliable and breathable. These materials allow the foot to flex naturally and aerate the foot chamber and keep the temperature at a comfortable level. Most Skechers training shoes employ a single unit for its midsole and outsole. This type of construction keeps the weight of the trainer down and maintains a flexible nature. Some models utilize rubber pods in the high-wear areas to enhance durability and traction of the underside. There are several factors to consider when purchasing a new pair of training shoes such as the type of activity it will be used for, price, fit and sizing, and style. Most training shoes from Skechers are meant to be used for various types of indoor and outdoor workout sessions, including casual wear, walking sessions, working out, dance classes, and many other athletic activities. The brand also designs footwear lines that aim at specific activities such as the Skechers GOwalk shoes for walking and the GOtrain series for cross-training. Skechers training shoes mostly come in a medium width profile, which is D for men and B for women. However, there are models that can be obtained in wide options, including 2E for men and D for women. Male users with even broader forefoot can choose from 4E - Wide Skechers models. As for the sizing, it depends on the model of the trainer. But in general, Skechers training shoes for the male population are offered in US sizes 6.5 to 14, while women’s footwear typically comes in 5 to 11. Skechers training shoes come in different styles. Some have uppers made of the proprietary Skech-Knit for a sock-like fit. Others wield mesh or jersey which are also soft and breathable but not as form-fitting as a knitted fabric. Some Skechers training shoes have a traditional lace-up closure, while others are equipped with bungee cords that don’t need to be tied but offer a locked-down fit. Some walking shoes sport a slip-on style to help the wearer slide in and out of the trainer with little effort. The price of an item could greatly affect the decision-making process of an individual. Some people will purchase footwear just because it is under $50 while others aren’t that bothered with the cost, as long as it is made of high-quality materials and is durable. Skechers offers some of the most affordable training shoes on the market, ranging from $55 to $70. During sales, you can also get a deal for as low as $20. You can check the availability of discounts on our website by selecting your gender and shoe size at the top of the page. Can I run in Skechers training shoes? Yes, you can run wearing Skechers training shoes, but your feet might hate you for doing that. Though training shoes have cushioning, it is not as thick as the ones used in running shoes. Therefore the shock absorbency of the midsole is not the same and running in training shoes, especially long-distance runs, could be brutal to person’s feet. How long do Skechers training shoes last? Generally, training shoes are replaced after every six months of regular wear to ensure that the shoe maintains adequate underfoot cushioning and its upper remains supportive. But several factors could affect the replacement cycle. If the Skechers training shoe is seldom used, then its lifespan may be longer than six months. If it is used extensively, several times a week, then the footwear might need a replacement even before the sixth-month mark. There is no strict rule, as long as the midsole still effectively absorbs shock, the outsole still has traction, and the upper is still able to lock the foot down, then the footgear is good to use. It is important to replace training shoes to prevent discomfort or injuries while working out. How to maintain a pair of Skechers training shoes? 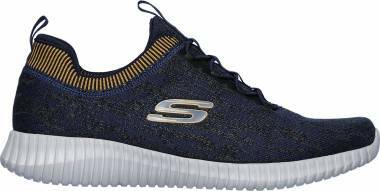 Depending on the material used on the Skechers training shoes, the brand has different recommendations on how to clean them but the general rule is not to machine wash any of its training shoes as the tumbling action could deform the trainers. Using a clean, dry brush, remove the excess dirt from the upper and the sole unit. Make a soapy mixture using warm water and a small amount of mild detergent. Dip a clean brush or cloth into the soapy mixture and clean the dirty footwear or just the affected areas. Then dip a clean brush or cloth in clean, warm water to rinse off the soapy solution off the Skechers training shoes. Allow the footgear to air dry for 10 to 12 hours to ensure that it is completely dry. The brand recommends using Skechers Water Proofer Spray to protect shoes from water and stains. To prevent odor from forming, a deodorizing spray like the Skechers Odor Eliminator Spray could be applied to keep the inside fresh and odor-free. If the shoe has been fully submerged in water, the brand does not recommend putting it inside a dryer as the heat could deteriorate the shoe. It is advisable to put crumpled up newspaper inside to absorb the excess water and then air drying it for 12 to 24 hours.